Is there a mechanism for verifying that a person is a legitimate seller or producer of the item being listed or traded on a blockchain? Most of us have seen a movie where an exhausted rider comes galloping in with a rolled up scroll with orders from the King telling the generals the plans for attack. Of course, before the army can act on these orders, the generals first have to make sure that the message actually came from the King. The message is verified by being stamped with the royal seal. As far back as two thousand years ago, Chinese Emperors would have valuable works of art, important documents and contracts stamped to verify authenticity. Today, in the age of technology we have digital seals to help us protect or authenticate things or information and it’s done, with cryptographic digital signatures. Technically speaking, cryptographic digital signatures use public key algorithms to provide data integrity. What this means is that one person signs data using a digital signature, the intended receiver can verify that signature. It is also possible to verify that, the received data was intact and not, tampered with after being signed by the sender. It is common knowledge that the Internet is not the most secure medium to share private information. Unauthorized third parties, with sufficient technical knowledge, can easily read or even modify communication being sent over the internet. What can be done to prevent this from happening? Cryptography is a method used to protect messages or data from being viewed by unauthorized persons. The algorithm can also identify data tampering, this makes it possible for information to be transmitted through secure and non-secure channels. Cryptology is concerned with data storage and communication in a secretive context and is derived, from the Greek terms kryptós (“hidden”) and lógos (“word”). Let’s look at typical situation where cryptography is used. Sonny and Cher communicate over a non-secure channel. They want to ensure that their communication, remains unintelligible to any third party listening in. Cher must make sure that the information she receives from Sonny, has not been modified by a third party after he sent it. She must also ensure that the information actually came from Sonny and not just someone pretending to be him. Signature verification ensures that the intended party signed the data. The following information must be included. The public key of the party signing the data, the digital signature, the data that was signed and the hash algorithm used by the signer. Digital Signature Cryptography can be used to accomplish several objectives. It assures confidentiality to help users protect their identity or data from being read. It also preserves data integrity to help protect data from being changed. It authenticates that the data originated from the appropriate person. Finally, it prevents a particular party from denying that the message came from them. This technology is not only applicable to individuals protecting their email but also has, numerous future applications for commerce and trade. As the ease and amount of data that is getting sent increases, the need for blockchain digital signature cryptography increases. Being able to provide a more secure digital platform where, no one person can retroactively change the data will reduce instances of fraud, increase transparency and ease of doing business. 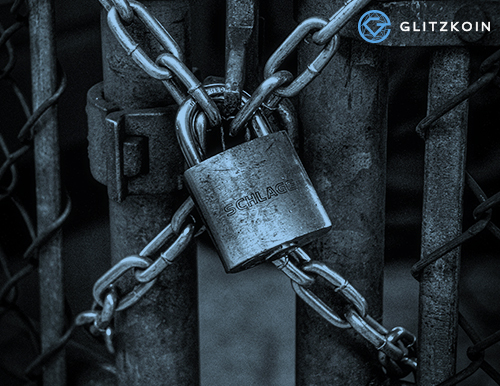 GLITZKOIN is poised to deploy a diamond blockchain platform with a cryptology mechanism to provide a more transparent, secure and efficient mechanism to track and trace diamond transactions. The project also includes the implementation of a crypto currency that, will be used to settle payments on the blockchain platform.